Skin rejuvenation treatments are some of the most commonly requested cosmetic procedures in the United States: Each year, Americans spend a substantial amount of money in an effort to diminish or erase the accumulative effects of aging, the environment, and lifestyle. 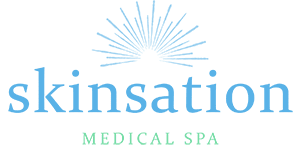 At Skinsation Medical Spa in Goodlettsville, Tennessee, Dr. Nadja Colon and her expert team offer patients from across the greater Nashville metropolitan area the most advanced skin care treatments, including microneedling skin rejuvenation. Call the office or book your appointment online today. Microneedling rejuvenation uses tiny needles to create micro-wounds on the surface of your skin, which stimulates the synthesis of new collagen and helps tighten underlying skin structures. Because the wounds created by microneedling are incredibly small and superficial, the procedure requires nothing more than topical numbing creams. Dr. Colon and her team of licensed professionals perform microneedling using the state-of-the-art Eclipse MicroPen®, the most advanced medical-grade automated microneedling device available. With its sterile applicator tip, the Eclipse MicroPen uses 12 disposable needles to vertically pierce your skin, creating fine channels across the treatment area that allow for the transdermal delivery of topical nutrients into your deepest layers of skin. The depth of needle placement varies depending on what the treatment is targeting. Enlarged pores and fine lines require a slightly shallower needle depth than stretch marks and acne scars, for example. The Eclipse MicroPen device has smooth, stamp-like motion that delivers a safer, more controlled treatment experience than similar devices, resulting in a more comfortable procedure and a better treatment outcome. Microneedling isn’t considered painful; thanks to the pre-treatment topical numbing cream and a post-treatment hydrating gel, any discomfort is minimal. Patients who have undergone the procedure say that the tingling sensation is similar to light sandpaper being moved across the skin. Whether your goal is to diminish the appearance of a scar, erase fine lines, or simply tighten noticeably large pores, microneedling will leave your skin looking tighter, smoother, and more uniform. Most patients notice an immediate glow after treatment. Because microneedling uses your body’s natural healing response to achieve results, the treatment process unfolds over time. Visible changes emerge over the course of days and weeks as your skin repairs itself. Some patients only require a single annual treatment to achieve and maintain optimal results. Most patients, however, attain optimal results after undergoing a series of two or three treatments, each spaced about six to eight weeks apart. Patients with deep wrinkles, advanced sun damage, stretch marks, or acne scars, may require six to eight sessions for best results.